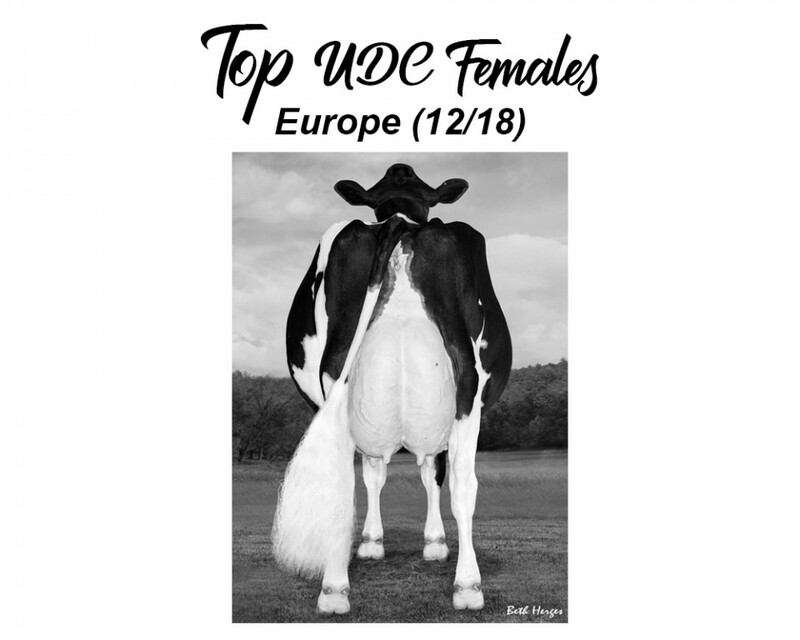 TOP UDC females in Europe! In Europe they are some of the highest UDC (Udder composite) females in the breed based on GTPI. 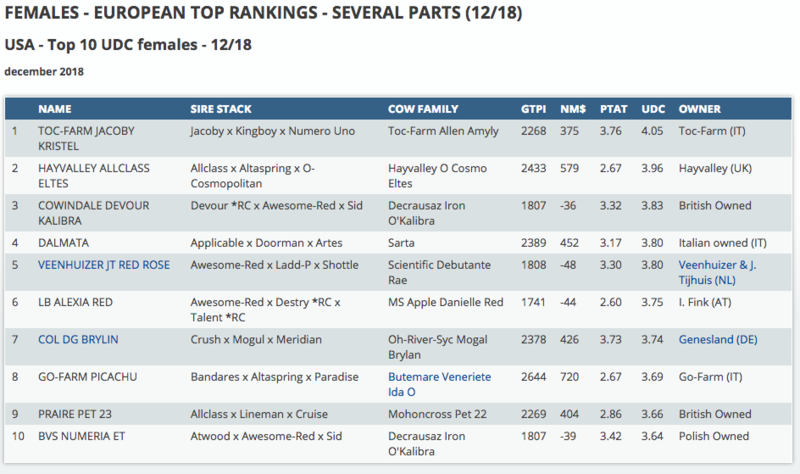 Topping the list is Toc-Farm Jacoby Kristel a Jacoby daughter with +4.05 UDC and from the family of Toc-Farm Allen Amyly. Notable is the only R&W heifer in the list: Veenhuizer JT Red Rose she is an Awesome-Red daughter with +3.80 for her UDC!! The #7 in the list is the full sister to Col DG Crushtime @ ST: Col DG Brylan, she notes +3.74 UDC. Also the Veneriete Ida family is in this top list with Go-Farm Picachu, she from the same family as the popular daughter proven sire BOARD @ RUW. To contact Veenhuizer Holsteins, click here or use the following contact information. To contact Veneriete Holsteins, click here or use the following contact information. To contact Genesland, click here or use the following contact information.